We specialize in web development utilizing the excellent Drupal and Symfony frameworks. Why check if term is associated to a node prior to deletion? 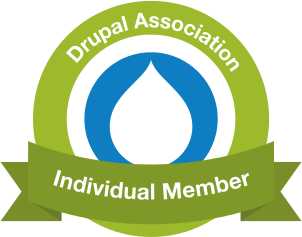 In cases where taxonomy terms are used only for categorizing content on a Drupal powered web page, there should be no harm in deleting them. However sometimes taxonomy is used to store terms critical to the content they are referenced from and in this case steps should be taken to prevent an accidental deletion. Yes, crazy that this can happen. But sometimes you just have to live by other people’s (i.e the sysadmin’s) rules. Here’s some VBScript on making sure a service account stays unlocked. You can schedule it to run periodically. The account it’s run as needs permission to unlock the service account, obviously.